Anthem Senior Retreat in the Phoenix area which is one of the top award-winning assisted living Anthem care providers in the Arizona region has carved a niche for itself in Anthem assisted living care for the seniors. Anthem Senior Retreat Arizona boasts of some of the most compassionate caregivers in Arizona who would leave no stone unturned in bringing a smile to the face of your loved ones through their services in senior living in Anthem. By entrusting the responsibility of your senior family members you can be rest assured about the fact that they are completely in good hands. It takes a lot for someone to trust a stranger with their loved one's responsibility but with our caregivers at Anthem Senior Retreat you can totally be at peace. The seniors can expect to get the best family environment with us and you can choose from our many assisted living homes over here which you can personalize according to your taste. Some of the many facilities that you can expect to get by putting up at the exquisite homes offered by Anthem Senior Retreat are parks, community centers, malls, etc and your homes will be totally furnished with all the basic amenities such as comfortable beds, tables and reclining chairs, washer/dryer in place. With fun events organized by us every now and then nobody will ever feel bored over here. Our caregivers would also make sure that your loved one is always in good health as we make sure to fix appointments with doctors as and when required and they are more than happy visiting us which means you would not have to worry about doctors or medications as we will arrange for it for your loved one. 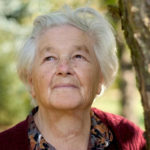 So give your beloved the happiness of a lifetime through the assisted senior living services at Anthem Senior Retreat. Our package is all-inclusive, what you pay for is what you would be getting as there are no hidden charges. Your loved one’s issues will be addressed and resolved at the earliest by our caregivers. We arrange for massage therapies for all our senior friends every single week. We arrange for various fun events in the form of movie nights, exercise classes, etc for all our seniors. You would get totally furnished rooms comprising of beds, dressers to chairs and tables. You would not require to go anywhere for anything as we will bring everything such as the doctors at your doorstep through our phone services. Expect to get the most nourishing and delicious meals totally cooked by professionals. We have some of the most compassionate caregivers who would always look after the well-being of all our senior friends. I had my father Dr. J Miller at Anthem Senior Retreat for 3 years. Being a health professional myself I was looking for the best for my father. He moved around from facility to facility prior to ASR because no matter how grand the large scale facilities were, it wasn’t home. My dad enjoyed his Gin and Tonic everyday along with his Pipe but was most important was a sense of belonging. 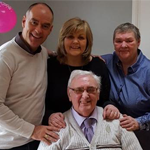 He was able to build relationships with the other residents and staff which gave him a real sense of security. As for my family, I couldn’t have made a better decision than to have dad here. Thank you for your amazing care! Our mom Jimmie called Anthem Senior Retreat her home. She had many complex health challenges, but not once did the team at ASR give up on her. They were attentive and solution oriented. Their medical team was superb and was always on top of her care. Throughout the 2 years before mom passed away they were very proactive and kept me in the loop with everything going on. Every time we took a vacation, we knew mom was in good hands. They gave us true peace of mind. Mom enjoyed her Netflix shows that they setup for her and also the monthly parties where family and friends came to enjoy. I always recommend ASR and cant thank them enough for all their hard work. Anthem Senior Retreat has been in this field of Anthem assisted living care for the seniors since a long time and not only for the seniors we have welcomed their family members with open arms as well and would continue to do so. So let us serve you in the best possible way so that we can provide you with a lifetime of memories which you can cherish in the long run. Get the best assisted living care services in Arizona with us. We assure to provide your loved one the best possible care at all levels. The various levels of care offered by us are long term care, dementia and memory care, respite care, Alzheimer's care and much much more. So get in touch with us as we are just a phone call away.